Create and edit icon files with easy-to-use TrueColor Icon Editor. 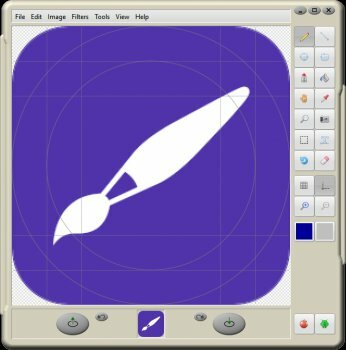 IconEdit2 has full support for semi-transparency and multi-image icon files. Easily manage color depths and sizes - up to 256x256 pixels. Open/Save ICO, Import/Export GIF, TIFF, BMP, JPEG or PNG image files. Allows to paint, undo/redo, search for icons in your files and capture screen areas. B E C A U S E .. The Author omitted the pricing uk£20 Single license ..
Icon, cursor, animation, icon library and image editor. NO FANCY UI ... Just "Does the job"..! !